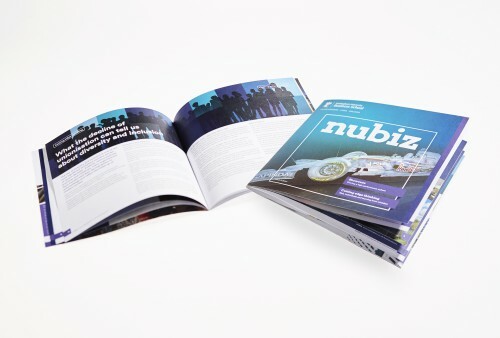 Having created the University of Nottingham Business School’s nubiz magazine last year, Creative Triangle were delighted to be asked to produce this year’s edition but working with the University’s new corporate identity. The imagery throughout is led by the topical articles – a mixture of illustrations and photography, with squares of colour to break up the text. The publication is being distributed directly to over 15,000 alumni across the world – keeping their global alumni network connected and engaged.